A foundation that already has been proven popular, may still not win the hearts of others. It certainly won mine but you really have to have a specific skin type for this foundation. I feel that it works in a different way as to how it is advertised, but it still works well. It is not the best foundation I have ever used but it has this magic in adjusting to your skin tone which is hard to find in many foundations. It could be the slightest pigment off key but it would still work for you because it blends so well. So lets go through the points. 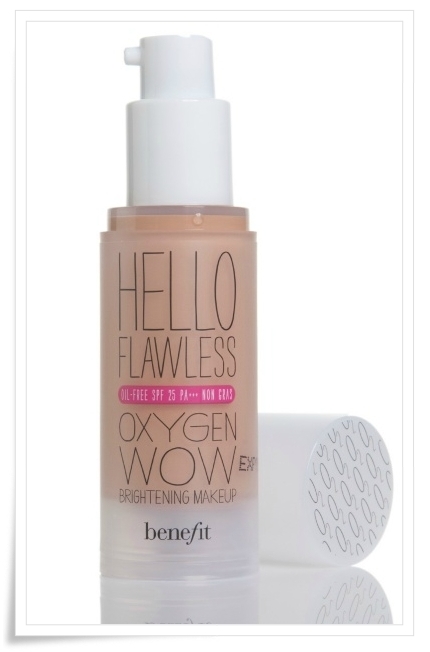 This foundation is designed to help brighten the skin. It does it initially. I don’t know why but through the day I find that it just adapts to my skin tone. On an olive complexion like mine it turns slightly gray. We don’t want that. Maybe it would be better for lighter for skin tones but it didn't work for me. I was unable to achieve the natural and luminous appearance that it was made to deliver. This foundation is oil- free. This means us oily skin sufferers and us acne sufferers have an amazing solution that doesn't make the skin break out. But please, please please use a primer. If you don’t then you will get a zit or two. Have you ever had that feeling where make-up feels heavy and cakey? We all have. This foundation will make your skin feel a little bit more free, but not as free as it would be with mineral foundation. Now, I must add that it doesn't have the most amazing coverage. So you may feel like you would need to build it up. And yes, it is buildable, but after a couple of layers, it can feel slightly heavy. This is very moderate when it comes to blending, and what I mean like that is that it is not so blendable if you don't do it quick enough. But if you blend too much it can end up in your pores and less coverage because its almost like wiping it off again. The force to do it quickly can equal to it being pushed into the skin. Start of with a little and work your way around the face. Like I mentioned before, the coverage isn't fantastic. If anything, I would compare it to a tinted moisturiser. It’s a tinted moisturiser that does not moisturise. It offers a light to medium coverage. So if there are oily skin sufferers that want a tinted moisturiser without the oiliness and greasiness, then this would be a good product for you. It is one of the make-up essentials these days, but there are definitely better foundations on the market that you can invest your money it. 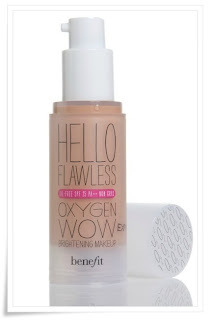 For everything else, Benefit is FANTASTIC, but for this foundation, I'm afraid it’s not something I would recommend. But if you want to still try it, go for it. It is very inexpensive for a high end foundation. Enjoy it and I hope it works well for you. To Buy: if you do not have dry skin. There are better foundations out there.